Mom gets real in Facebook post about why the anti-vaxxer movement is so dangerous for her daughter. On top of all the other nonsense we have to deal with in America in 2017, we're currently fighting a profoundly stupid problem of our own making: The rise and normalization of the anti-vaccination movement. There are all kinds of idiotic, unscientific reasons that parents think it's OK not to vaccinate their children against a host of easily preventable diseases—John Oliver broke down a few of them on Last Week Tonight a week ago. But nothing speaks as powerfully as the experience of real people caught up in the kind of medical nightmare that the anti-vaxxer mindset has made increasingly common. 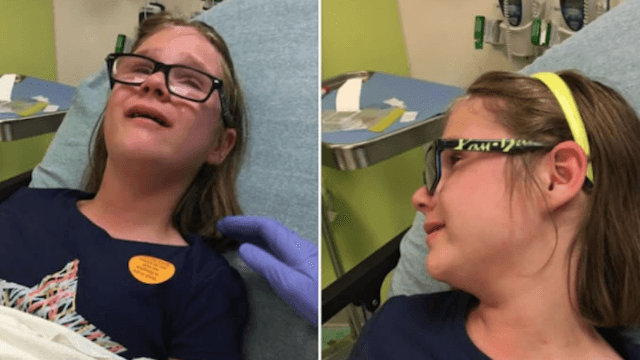 On Facebook, mother Camille Echols posted photos of her daughter in the hospital, explaining why it was so vital to her health that other kids get vaccinations for infections like chicken pox and the measles. Sadly, anti-vaxxers have never seemed willing to listen to reason, but perhaps they will understand, intuitively, that it's not good when kids get sent to the hospital? Since they claim to be looking out for children's best interests and all.